I’m waiting on John Beeler to post that stereotype about the Russian Greek Catholic Church being a fake/dead church made up of nerds and hipsters. Um, he attends a Ukrainian Catholic parish about once a month or so. I don’t agree with John about everything, not by a long shot, but I have never (personally) seen him diss Eastern Catholics….? Not Easterners generally, just the particular Russian Greek Catholic Church. And perhaps I being too harsh, but I will let my words stand for the record. It is true that the RGCC was very small when and virtually obliterated by the Bolsheviks. Any adherents of the RGCC today are likely converts due to the miniscule numbers of clergy who escaped liquidation. John’s jabs are typically focused on those converts moreso than the Church. Isn’t the RGCC miniscule, though, as opposed to simply small? Isn’t it like a handful of parishes? I remember someone telling me there were only two, but maybe that’s just in the U.S. And regardless of that, if most of its members are not Russian, well, can it actually be the Russian Greek Catholic Church as a sui generis church? At most, wouldn’t it really just be an historic rite at that point? First, “church” and “rite” are not the same thing. The RGCC happens to be a sui iuris church which officially uses two forms of the Byzantine Rite: Synodal and Old Ritualist. Second, the RGCC has between 30-50k members worldwide, which means it’s probably the size of the OCA. Third, the reason the numbers are so tiny is because the Russian Orthodox, working with the Soviets, nearly obliterated it. And then pathetic Vatican ecumenical sensibilities left it as an orphan church, which is what it is trying to correct. 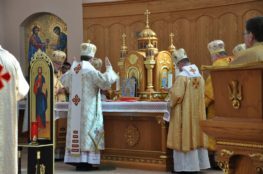 While converts to the RGCC have sustained its existence over the decades, that does not invalidate its establishment nor the fact that it should be allowed to fulfill its apostolic mission in Russia and abroad. That is what the RGCC is asking for now, and I pray they get what they want. That is right and just. I understand church and rite are different, and 30-50k is more than the Orthodox Church in Japan and about the same as Finland – so it’s not necessary unviable. My point was simply if there were only two parishes (mistaken assumption) and everyone in the church is a convert with no personal tie to the locality of that local church, then whatever it may be officially (sui iuris church) it would then really be little more than an somewhat autonomous rite. 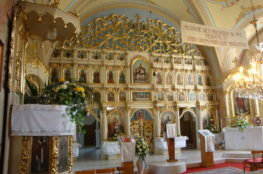 There are a number of miniscule local or autonomous churches among the Orthodox (i.e., Czech Republic & Slovakia, Jerusalem, Finland, Japan, China, Sinai) and it’s an equally valid question for them, too. At a certain point, though, it doesn’t matter the cause (Islam, Communism, heresy) if the church in question ceases to exist (e.g. Church of Nubia) or is about to. The status of the RGCC is, of course, an internal matter for the Roman Catholic Church. Does the Annuario Pontifico (sp?) consider the RGCC to be a sui juris church? It, of course, only becomes an ecumenical issue if the RGCC is used to entice Orthodox to leave the Church. Ecclesiastical demographics are hard metrics to get precise, and don’t always prove anything. However, while getting an exact count is difficult, there seem to be around 30 communities (parishes or monasteries) world wide. (It’s kind of hard to tell, for instance, the websites will have different lists of parishes in Russia, and also they list communities of the UGCC in Russia, as communities of the Byzantine Rite in Russia. Unless the average parish has thousands of parishioners (which they don’t), the RGCC has far fewer than 30,000 members. A (very) generous estimate of 150 – 200 parishioners in a very generous estimate of 40 parishes gives 8000 members. a more realistic estimate would be an average of under 100 in 30 communities maximum: 3000 members.